The Near-Earth Object Wide-field Infrared Survey Explorer (NEOWISE), is an asteroid-seeking spacecraft by NASA which was restarted in December 2013 following a long period of hibernation. NEOWISE operates by scanning space for comets and asteroids. Its telescope detects infrared light. 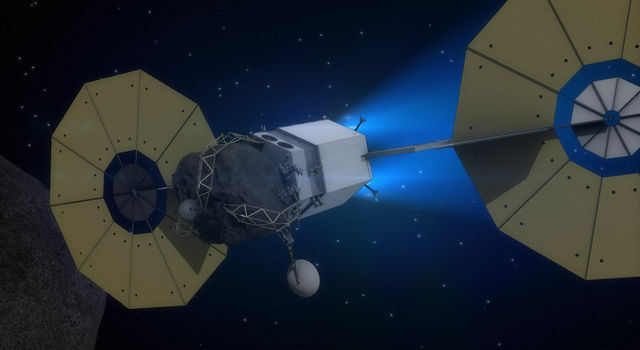 This allows the spacecraft to detect heat signatures generated by asteroids enabling a better estimation of their true size. Over millions of images of celestial objects including those of asteroids taken by NEOWISE are now online and available to the public. Between December 2013 and December 2014, NEOWISE had collected over a million of infrared images and billions of infrared measurements of stars, quasars, galaxies and asteroids. Amy Mainzer, the principal investigator for NEOWISE at NASA’s Jet Propulsion Laboratory (JPL) stated that the rationale and most satisfying elements of this public release of astronomical data is the fact that the scientific community would be able to use these to generate creative and exciting projects. During the initial year of the survey, the spacecraft had captured a total of 2.5 million image sets and has detected and furnished data on more than 10,000 solar system objects. The data obtained has helped to identify 129 new solar system objects which included about 39 near-Earth objects that were previously unknown. Each capture image also include various background nebulae, stars and galaxies. Over 10 billion measurements of distant objects are found within NEOWISE’s data. NEOWISE was originally called Wide-field Infrared Survey Explorer (WISE) and it went into hibernation in the year 2011 following the completion of its primary mission.